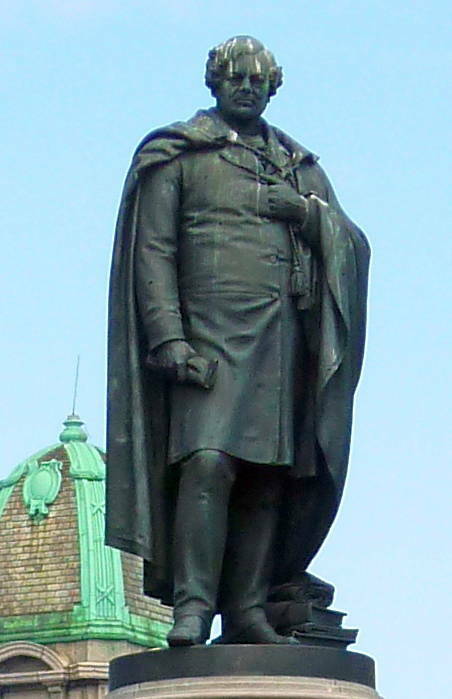 In 1864 Michael Fanning, John Fanning and Daniel Darmody were amongst the Drom & Inch subscribers to the O’Connell Monument Fund. MGT FANNING (MARGARET?) 26 April 1835, address hard to read looks like Borrin or Borris, father Michael Fanning, mother Sally Quill, sponsors William Quill and Mary Trihy. MARY FANNING 20 August 1835, address Killough, father Michael Fanning, mother Bgt Ryan (Bridget?) sponsors Michael Maher and Jane Maher. JOH FANNING (JOHN? ) 22 May 1836, address Dromard, father Michael Fanning, mother Kitty Keys, sponsor Judith Keys. PAT FANNING father William Fanning, mother Kitty Butler, sponsors James looks like Brennan and Mary Fannin, date illegible. BAT FANNING (PAT?) 9 June 1844, father William Fanning, mother Cath Butler, address Templemore, sponsors John Fanning and Bridget Ryan. MARY FANNING, 5 Mar 1851, father William Fanning, mother Cath Malone, address Gortnagowna, sponsors William Malone and Mary Scott. LNCE FANNING (LAURENCE?) 30 May 1854, father William Fanning, mother Cath Malone, address Gortnagowna, sponsors James Tierney and Mary Malone. WILLIAM FANNING, 15 Aug 1856, father William Fanning, mother Cath Malone, address Gortnagowna, sponsors William Hardgroft and Mary Donolan. SARAH FANNING, 2 June 1852, father James Fanning, mother Mary Kennedy, address Pigfoot Lane, sponsor Margaret Kinsella. THOMAS FANNING, 25 Dec 1855, father James Fanning, mother Mary Kennedy, address Killawardy, sponsors Patrick Meara and Ellen Mullally. MARY FANNING baptised 1 Nov 1801 in Moycarkey Parish, father was Geoffrey Fanning and mother Margaret Eviston. Sponsors were William Kearney and Cath Doughan. Father’s name entered as Jeffrey. RICHARD FANNING baptised 4 Nov 1806 in Moycarkey Parish, father was Geoffrey Fanning and mother Margaret Eviston. Sponsors were James Hewitt and Joanna Haven. Father’s name was entered as Jeffrey. MARGARET FANNING baptised 30 Oct 1827 in Dunkerrin Parish. Address: Castleroan, father: William Fanning, mother: Ellen Eviston. Sponsors were Pat and Cath Fanning. EDMUND FANNING baptised Catholic on 19 July 1809 in Drom Parish, his father was William Fanning and mother Judith Fanning, sponsors were William Carroll and Mary Cormack. JOH FANNING transcribed as Johanna but is JOHN born in Templemore Parish on 22 May 1836 to Michael Fanning and Catherine Keys of Dromard. Judith Keys was sponsor. Catherine’s name was entered as Kitty. This Michael Fanning is possibly the brother of my gggrandfather William Patrick Fanning who emigrated to Australia in 1841. It is possible this Michael Fanning ended up living in Tazewell in America marrying Ellen Phelan. EDWARD FANNING born in Templemore Parish on 28 Dec 1833 to Michael Fanning and Catherine Keys of Dromard. Sponsors were Steven MacKey and Ellen Kavanagh. Mother’s name entered as Kitty. THOMAS FANNING born in Templemore Parish on 25 April 1830 to Martin Fanning and Margaret Treacy of College Hill. The sponsors were James and Mary Lynch. PHILIP DARMODY born in Drom Parish on 24 Jan 1841 to Daniel Darmody and Judith Darmody. Sponsors were Phil Darmody and Kate Darmody. Mother’s name entered as Judy. DENIS DARMODY born in Drom Parish on 11 Mar 1815 to Patrick Darmody and Honora Dwyer. Sponsors were William Darmody and Margaret Lonergan. Mother’s name entered as Honor. JOHN FANNING born in Templemore Parish 16 Oct 1880, baptised 30 Oct 1880. Address is Kill Drom and parents were William Fanning, farmer, and Amy Flynn. John has a twin sister Margaret Fanning. Sponsor is Margaret Russell. PATRICK FANNING baptised 28 April 1848 in the Parish of Carrick-On-Suir. Address given as Ballyrichard Rd. Father was Patrick Fanning and mother Margaret Russell. Sponsors were Richard Hanrahan and J. Cavanagh. The priest was J.Hyland. BRIDGET FANNING born 3 Sept 1875 and baptised 18 Sept 1875 in Thurles Parish, Address : Clondoty Loughmore. Father: WILLIAM FANNING, farmer, mother: CATHERINE FOGARTY Sponsor was WILLIAM FANNING her father. WILLIAM BANNON born 12 July 1884 in Holycross Parish, Address : Ballycahill. Father: JOHN BANNON, farmer, mother: MARY FANNING Sponsor was JOHN BANNON his father. MICHAEL FANNING born 6 July 1910 in Thurles Parish, Address : Bouladuff. Father: LAURENCE FANNING, shopkeeper mother: BRIDGET FANNING Sponsor was MARY FITZGERALD. KIERAN COSTELLO born 8 Nov 1881 in Littleton Parish, Address : Shanballa. Father: JEREMIAH COSTELLO, labourer. mother: MARY HEFFERNAN Sponsor was JEREMIAH COSTELLO his father. JOSEPH FANNING born 8 Sept 1871 in Thurles Parish, Address : Clondoty Loughmore. Father: WILLIAM FANNING mother: CATHERINE FOGARTY Sponsor was WILLIAM FANING his father. JOHANNA FANNING born 28 Jan 1864 in Thurles Parish, Address : Lisaroon. Father: MICHAEL FANNING farmer. Mother: CATHERINE RYAN Sponsor was MICHAEL FANNING her father. JAMES FANNING date of baptism 16 Sept 1842 in Roscrea Parish/district Co Tipperary. Address: Chapel Lane, father JOHN FANNING, mother CATHERINE CONNOLLY. James a twin of Michael Fanning. RC. Sponsors were Tim Grady and Joan Grady. MICHAEL BROLAN date of birth 5 Mar 1875, date of baptism 8 Mar 1875, address: Lisaroon, Parish/district of Thurles. Father PATRICK BROLAN occupation : tailor. Mother: MARY BANAN Sponsor was Patrick Brolan. MARY BROLAN date of birth : 20 Sept 1876 date of baptism 30 Sept 1876 address: Lisaroon Parish/district Thurles Co Tipperary Father: PATRICK BROLAN occupation: Tailor. Mother: MARY BANAN. Sponsor was Patrick Brolan. PATRICK BROLAN date of birth 10 May 1880, date of baptism 15 May 1880. Address : Lisaroon, Parish/ditrict Thurles Co Tipperary. Father PATRICK BROLAN, tailor, mother: MARY BANAN. Sponsor was Margaret Banan. AGNES BROLAN date of birth 20 Aug 1881, date of baptism 27 Aug 1881. Address : Lisaroon, Parish/ditrict Thurles Co Tipperary. Father PATRICK BROLAN, tailor, mother: MARY BANAN. Sponsor was Patrick Brolan. JOHN BROLAN date of birth 9 June 1884, date of baptism 1 July 1884. Address : Lisaroon, Parish/ditrict Thurles Co Tipperary. Father PATRICK BROLAN, tailor, mother: MARY BANAN. Sponsor was Hanora Ryan. THOMAS DWYER Date of Baptism/Birth:21/01/1899 Address: Bouladuff Parish of Thurles. Father: MICHAEL DWYER, shopkeeper. Mother: KATE FANNING Sponsor Michael Dwyer. BRIDGET FANNING Baptism/Birth 7/5/1869 Address: Turtulla, Moycarkey, Parish of Thurles. Father: JOHN FANNING, occupation: labourer. Mother: MARY FOGARTY Sponsor: MICHAEL FANNING, occupier. JOHN FANNING Baptism/Birth 28 June 1872 Address Turtulla, Moycarkey, Parish : Thurles Father THOMAS FANNING occupation: labourer Mother: BRIDGET CONNELL Sponsor Thomas Fanning, father. I think the John Fanning listed below is the John Fanning from Turtulla of the above birth record. In transcription the 28 could have looked like 13. CATHERINE FANNING Date of Baptism/birth:29/09/1864 Address: Turtulla. Parish: Thurles. Father: JOHN FANNING, Labourer. Mother: MARY FOGARTY. Sponsor: Grandmother, JUDY FANNING. 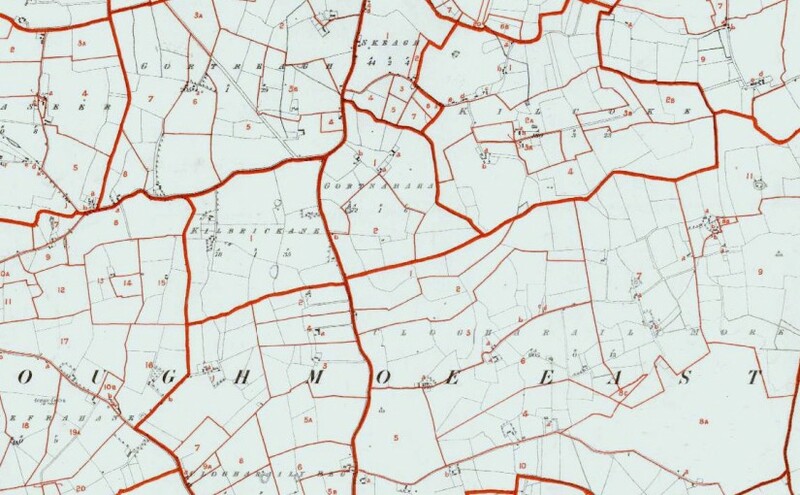 In the notes Parish of Moycarkey is listed with an *. Does this mean the grandmother lived in Moycarky Parish or John and Mary Fanning? JOHN KEARNEY Date of Baptism/Birth: 01/05/1895 Address: Whitefield, Parish: Moyne Father: Michael Kearney Mother: Johanna Maher Sponsor: Michael Kearney (Father). JOHANNA FANNING Date of Baptism/Birth: 28/01/1864 Address: Lisaroon. Parish: Thurles. athr: MICHAEL FANNING, Farmer. Mother: CATHERINE RYAN. Sponsor: Father. PATRICK FANNING Date of Baptism/Birth:19/10/1865 Address: Lisaroon. Parish/District: Thurles. Father: MICHAEL FANNING, farmer. Mother: CATHERINE RYAN. Sponsor: father, Michael Fanning. Notes: Lisaroon, Parish of Inch. PATRICK FANNING Date of Baptism/Birth: 15/05/1868. Address: Turtulla, Moycarkey. 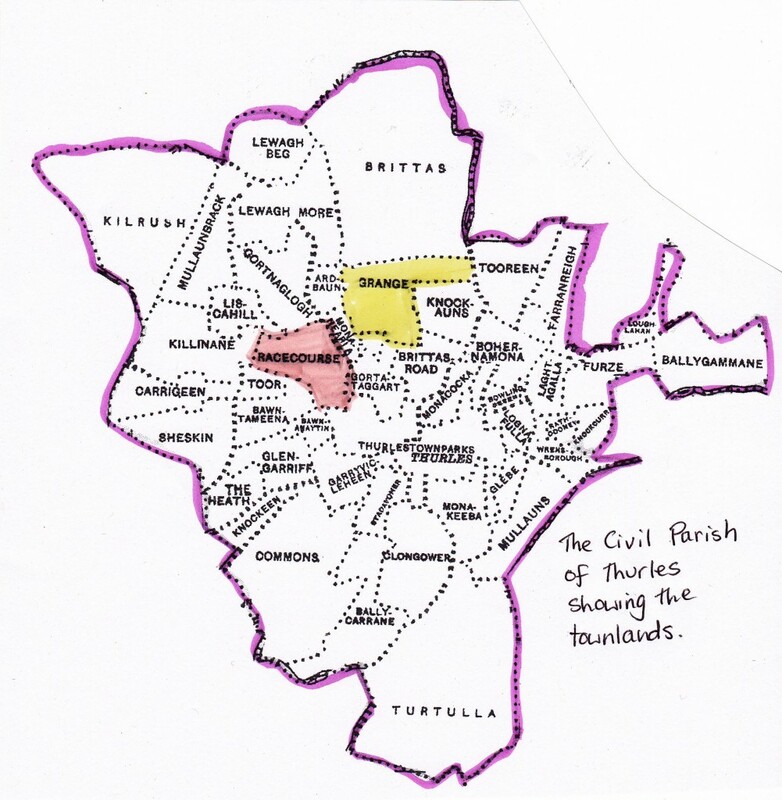 Parish/District: Thurles. Father: JOHN FANNING, labourer. Mother: MARY FOGARTY. Sponsor MICHAEL FANNING. 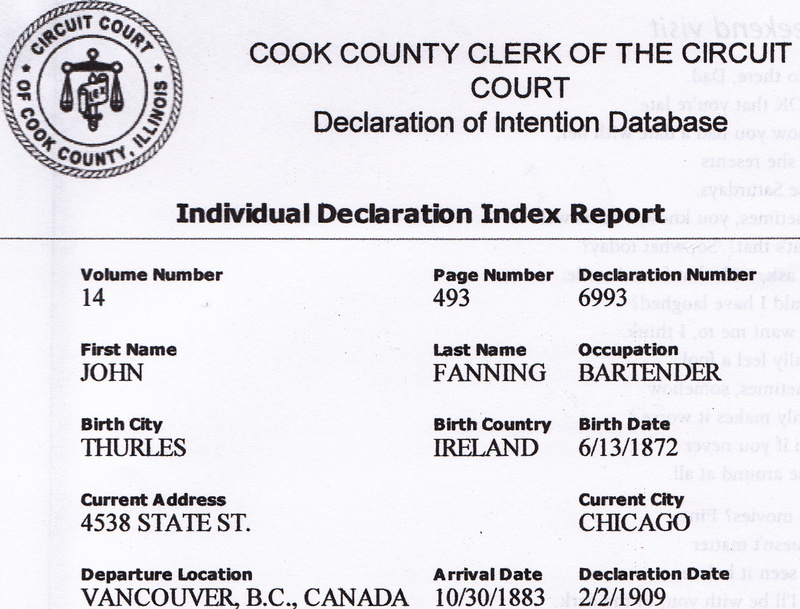 Notes: Michael Fanning (Occupier). MARY FANNING date of baptism: 30/07/1907 Address: Shanballa in the Parish of Littleton. Father:EDWARD FANNING, farmer,and mother was JOHANNA HOGAN. Informant was the father. JOHANNA FANNING date of Baptism/Birth: 26/02/1890 Address: Gurtnaha Parish: Moyne. Father: THOMAS FANNING, farmer. Mother: JOHANNA COSGROVE. LAURENCE FANNING date of Baptism/Birth: 6/5/1909 Address: Glenreagh. Parish/District: Holycross. Father: JOHN FANNING, farmer. Mother: CATHERINE DOYLE. Father was sponsor. JOHN FANNING Date of Baptism/Birth: 1/8/1894. Address: Graiguefrahane. Parish/District: Moyne. Father: PATRICK FANNING, farmer. Mother: MARY BOURKE. Sponsor was Hanoria Burke, grandmother. Have been told that John was one of sixteen children. THOMAS FANNING date of birth 28/2/1864 Address: Skehane. Parish/District of Littleton. Father: MARTIN FANNING. Mother: MARY MAHER. Sponsor was Martin Fanning, his father. I think Thomas Fanning is the father of John Fanning (22/10/1903-01/01/1982) the Irish Fianna Fail politician and farmer, whose birth record is below. I have been told that he is not related to my Fanning family. More information about this family: Apparently DNA tests show that these Fannings are in the Edmund Fanning lineage. 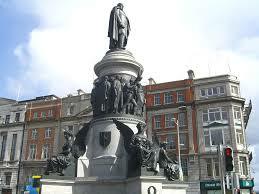 This Edmund Fanning emigrated to America in 1853. My ancestors show the same lineage. So we are related but I have no idea how far back. I was told by my fourth cousin in Ireland that all the Fannings around Thurles are descendants of William Fannin and Sarah Ryan of Lissaroon. Whether this is true I don’t know. The above Martin Fanning came to live in Skehanna, Twomileborris and married Mary Maher. One of his sons Martin who married Mary Ann Duggan (daughter of Michael Duggan) emigrated to America and lived first in Philadelphia and then Chicago. I do have a bit more info if anyone is interested. I have birth dates for Martin 22 Feb 1857, Joseph 14 Sept 1860, William and Michael 8 Sept 1867, James 31 July 1854, Ned, no date, but he stayed in Coolcroo and John was said to have immigrated to US. These are all sons of Martin and Mary Fanning nee Maher. These names and dates need checking. JOHN FANNING date of birth 22/10/1903 Address: Borris. Parish/District of Littleton. Father is THOMAS FANNING and mother is MARGARET FOGARTY. Sponsor was his father Thomas Fanning. John Fanning was a farmer and a Fianna Fail politician for North Tipperary. He was first elected in 1951 and re-elected at every successive general election until he retired from politics in 1969. He died 1/1/1982. WILLIAM FANNING 29/05/1803 St Mary’s Parish, Clonmel father: JAMES FANNING Mother: MARGARET GRADY, Sponsors : Stephen Duggan and Maira Walsh. PATRICK FANNING 28/01/1778 Cahir Parish Father: EDMUND FANNING Sponsors: Eugene Gorman and Joanna Keating. Priest M. Keating. WILLIAM FANNING 04/12/1792 Carrick-On-Suir Parish Father : JACOBUS FANNING mother: JOANNA GAULE (GALL on register) Sponsors: Michael Maher and Mary O’Donnell. MICHAEL FANNING baptised in Drom Parish 3/6/1811. Father was William Fanning and mother was Honora MacCormack. The sponsors were Thomas McGrath and Sally Darmody. MARY FANNING baptised in Drom Parish 10/9/1813. Father was William Fanning and mother was Honora MacCormack. The sponsors were Denis McGrath and Mary Cormack. CATHERINE FANNING baptised in Drom Parish 27/3/1816. Father was William Fanning and mother was Honora MacCormack. The sponsors were John McGrath and Bridget Burke. WILLIAM FANNING baptised in Drom Parish 24/6/1827. Father was William Fanning and mother was Honora MacCormack. The sponsors were Thomas Cormack and Margaret McGrath. WILLIAM FANNING born 14 July 1884, baptised 28 July 1884 in Holycross Parish. Address: Barracurra. Parents: JAMES FANNING and ALICE LONG. Informant was Mary Darmody. MARGARET FANNING baptised in Holycross Parish 18/6/1874. Father was James Fanning and mother Alice Long. Address was Barracurra. Sponsors were John Ryan and Margaret Fanning. MARGARET FANNIN born 24 June 1874, baptised 29 June 1874 in Holycross Parish. Address : Burracurra. Parents: JAMES FANNIN and ALICE LONG, informant was Mary Darmody. CATHERINE FANNING baptised in Holycross Parish 14/11/1875. Father was James Fanning and mother Alice Long. Sponsors were Mary Long and William Fanning. CATHERINE FANNING born 16 Dec 1875 in Holycross Parish, baptised 27 Dec 1875. Address : Barracurra. Father: JAMES FANNING mother: ALICE LONG Address Barraccura. Informant was Mary Darmody. JOHN FANNING baptised in Holycross Parish 10/5/1877. Father was James Fanning and mother Alice Long. Address was Barracurra. Sponsors were Ellen McGrath and Joseph Fanning. JOHN FANNING born 23 May 1877, baptised 28 May 1877 in Holycross Parish. Address : Barracurra. Parents: JAMES FANNING and ALICE LONG. Informant was Mary Darmody. MARY FANNING baptised in Holycross Parish 18/10/1879. Father was James Fanning and mother Alice Long. Sponsors were Bridget Long and Mary Fanning. MARY FANNING born 15 Oct 1879, baptised 24 Oct 1879 in Holycross Parish. Address: Barracurra. Parents : JAMES FANNING (farmer) and ALICE LONG. Informant was Honoria Mulcahy. ALICE FANNING baptised in Holycross Parish 17/2/1882. Father was James Fanning and mother Alice Long. Address was Barracurra. Sponsors were John and Joanna Banon. ALICE FANNING born 3 May 1882, baptised 6 May 1882 in Holycross Parish. Address: Barracurra. Parents: JAMES FANNING and ALICE LONG. Informant was Mary Darmody. EDWARD FANNING baptised in Drom Parish 18/1/1828. Father was John Fanning and mother Margaret Russell. Address Kile. Sponsors were James Fanning and Cath Russell. WILLIAM FANNING baptised in Drom Parish 29/3/1831. Father was John Fanning and mother Margaret Russell. Address Kille. Sponsors were Joe Fanning and Mary Donovan. CATHERINE FANNING baptised in Drom Parish 28/7/1833. Father was John Fanning and mother Margaret Russell. Address Kille. Sponsors were Thomas Doherty and Mary Fanning. JAMES FANNING baptised in Drom Parish 3/6/1838. Father was John Fanning and mother Margaret Russell. Address Kile. Sponsors were Pat Mahony and Bridget Mahony. JOSEPH FANNING baptised in Drom Parish 12/7/1840. Father was John Fanning and mother Margaret Russell. Address Kile. Sponsor was Ellen Gleeson. MARGARET FANNING baptised in Drom Parish 28/6/1842. Father was John Fanning and mother Margaret Russell. Address Drom. Sponsors were Edm Fanning and Mary Russell. JOHANNA FANNING baptised in Drom Parish 1/1/1845. Father was John Fanning and mother Margaret Russell. Address Kill. Sponsors were Mary Fanning and Michael Ryan. JOHN FANNING baptised in Loughmore Parish 10/11/1806. His father was James Fanning and mother Margaret Ryan. Sponsors were Patrick Cummins and Catherine Tynan. JOHN FANNING baptised in Loughmore Parish 27/12/1809. His father was Geoffary Fanning and mother Mary Maher. Sponsors were Peter James and Margaret Peters. JOHN FANNING baptised in Loughmore Parish 28/11/1809. His father was Michael Fanning and mother Catherine Ryan. Sponsors were Edmond Hall and Mary Fogarty. JOHN FANNING baptised in Loughmore Parish 11/8/1798. His father was Edmund Fanning and mother Honora Hoare. Sponsors were John Fanning and Catherine Hoare. JOHN FANNING baptised in Loughmore Parish 6/11/1799. His father was Laurence Fanning and mother Ellen Egan. Sponsors were John Ryan and Anastasia O’Connor. JOHN FANNING baptised in Loughmore Parish 13/8/1804. His father was John Fanning and mother Mary Burke. Sponsors were John Barry and Suzanne Fanning. JOHN FANNING baptised in Thurles Parish 10/4/1798. Father was Edmond Fanning and mother Bridget Ryan. Sponsors were Thomas Maher and Mary Fanning. JAMES FANNING baptised in Thurles Parish 30/1/1842. Father was John Fanning and mother Ellen Day. Sponsor was Ellen Maher. JAMES FANNING baptised in Tipperary Parish 3/4/1842. Father was John Fanning and mother Catherine Baker. Sponsors were Patt Shanahan and Kitty Ryan. JOHN FANNING baptised in Thurles Parish 3/7/1799. Father was John Fanning and mother Catherine Kirwan. Sponsors were Anthony Spillane and Margaret Callanan. JOHN FANNING baptised in Thurles Parish 21/6/1809. Father was Michael Fanning and mother Catherine O’Dwyer. Sponsors were Edm Fanning and Margaret Kelly. Anthony Fanning, emigrated with his brother Patrick, in 1878 on the High Flyer to Maryborough Qld Australia. He was 29 and Pat 18. He married Amelia Lovell and is buried in West Kempsey Cemetery NSW. She died 21 Dec 1890 aged 28 and he died 7 Sept 1891 aged 42. Emigrated to Queensland Australia in 1878 with his brother Anthony. I don’t know what happened to him, if he stayed in Australia or returned to Ireland. MARGARET FANNING 24/10/1811 Father: MICHAEL FANNING , mother: CATHERINE RYAN , sponsors : Thomas Grant and Ellen Cass. PAT FANNING 23/04/1812 Father: JOHN FANNING, mother: MARGARET DOOLAN, sponsors: John Shanahan and MARGARET FANNING. ELLEN FANNING 31/05/1812 Father: PAT FANNING, mother: MARY RYAN, sponsors: Michael Maher and Mary Gorman. ELLEN FANNING 13/09/1812 Father: JO FANNING, mother: BIDDY RYAN, sponsor: Ellen Ryan. MICHAEL FANNING 01/05/1814 father: JOHN FANNING, mother: MARGARET DOOLAN , sponsors: Larry Kennedy and Margaret McGrath. CATHERINE FANNING 12/06/1814 father: MICHAEL FANNING, mother: CATHERINE RYAN, sponsors: Michael Ryan and Ellen Grant. JAMES FANNING 18/12/1814 Father: PAT FANNING, mother: MARY RYAN, sponsors: John Quinlan and Mary McDonnell. JAMES FANNING 16/06/1816 father:JAMES FANNING, mother: BIDDY RYAN, sponsors: James Butler and M Maguire. DENIS FANNING 29/06/1819 father: JOHN FANNING, mother: MARGARET DOOLAN, sponsor: Nelly Doolan. ANNE FANNING 20/02/1823 father: EDMUND FANNING, mother: MARY HAYES, sponsors: Phil Hayes and Mary Fitzpatrick. JOHN FANNEN 12th or 14th Dec 1840 father: TOM FANNEN, mother:MARY RYAN, sponsors: Pat Fannen and Catherine Ryan. PAT FANNEN 12th March 1842. father: JOHN FANNEN, mother: MARY REILY, sponsors: ?Ryan and Cath Fannen. CATH FANNEN 13th March 1842. Father: PAT FANNEN, mother: CATHERINE MAHER, sponsors: Wm.Fannen and Mary Gl? MARY FANNEN 8th May 1842. Father: WILLIAM MAHER, mother:MARY FANNEN. Sponsors: Mich ? and Mary Fannen. MARY FANNING 17th Dec 1843. Father: LARRY FANNING and mother :BRIDY? ?OAR (may be Hoare) Sponsors: William and Catherine Fanning. MARY FANNEN 3rd Oct 1844. Father: MARTIN FANNEN and mother: ELLEN DOLOHERTY . were Pat Doloherty and ? MARY FANNIN 15th Feb 1846. Father: LARRY FANNIN and mother: ??? ?OAR. Sponsors were John and Mary ?oar Kilcrak (could be Kiloak). JOHN FANNEN 21st Sept 1846. Father : JAMES FANNEN and mother JUDY CRONAN? Sponsors were Edmund Fanning and Ellen Ryan Kil—k. MARY FANNING 4th Jan 1847. Father: MARTIN FANNING and mother ELLEN DOHERTY. Sponsors: Denis Bri?n and Mary ???? ELLEN FANNING 7th July 1847. Father: TOM FANNING and mother MARY RYAN. Sponsors were John Cormick and Mary Shanahan Gurt????? JOHN FANNING 26th June 1848. Father: LARRY FANNING mother ? HOAR. Sponsors were Edmund and Mary Fanning Kiloak. ELLEN FANNEN ?July 1848. Father: THOMAS FANNEN mother: BRIDG NOLAN. Sponsors James Fannen and Cath Nolan. MARGARET FANNING 16 Oct 1880 Kill, Drom. Father William Fanning and mother Amy Flynn Fanning. JAMES JOSEPH FANNING born 10 July 1866 Roscrea Co Tipperary. Father: MARTIN FANNING and mother was MARY SLATTERY. MARY ELLEN FANNING born 3 July 1864 Roscrea Co Tipperary. Father: MARTIN FANNING and mother was MARY SLATTERY. PATRICK FANNING born 7 Feb 1868 / Co Tipperary. Father: MARTIN FANNING and mother was MARY SLATTERY. THOMAS FANNING born 19 Dec 1869 Roscrea Co Tipperary. Father: MARTIN FANNING and mother was MARY SLATTERY. ANTHONY FANNING Born c 1849 died 7 Sept Kempsey NSW Australia Buried West Kempsey cemetery. Married 25 Sept 1883 to Amelia Lovell. Emigrated on the “High Flyer” 1878 to Qld aged 29 with brother Patrick. Father: PATRICK FANNING Mother: MARGARET CANTWELL. HENRY FANNING Born c 1786 Thurles Died 20 Nov 1826 Married MRS HENRY FANNING c 1811 Thurles. MRS HENRY FANNING Born about 1790 Thurles. Female FANNING born about 1813 Thurles Parents: MR & MRS HENRY FANNING. Married Thurles unknown CORCORAN born about 1809. MARY FANNING born about 1812 Thurles died 16 Oct 1839. Married WILLIAM TOOHEY about 1832 in Thurles. JOHN FANNING born 28 June 1872 Tipperary Father: THOMAS FANNING Mother: BRIDGET CONNELL. PATRICK FANNING born about 1773 Thurles married about 1798 in Thurles to MARY RYAN born about 1778 Thurles died 20 Feb 1828. JOHN FANNING born about 1802 Thurles died 2 Dec 1844. PATRICK FANNING born about 1804 Thurles died 8 April 1884. MARY FANNING born 29 August 1879 Tipperary. Father: JEFFRY FANNING Mother: ELIZABETH COFFEY. JOSEPH FANNING Born 6 Dec 1871 Thurles. Father: JOSEPH FANNING Mother: MARY CASHEN. MARY FANNING Born 16 June 1870 Tipperary Father: JOSEPH FANNING Mother: MARY CASHIN. MARY FANNING born about 1812 Thurles Died 16 Oct 1839. Married c 1832 Thurles. MARY FANNING Born 6 Dec 1866 Thurles Father: JOHN FANNING Mother: MARY FOGARTY. PATRICK FANNING Born 5 Dec 1878 Tipperary Father: JOHN FANNING Mother : MARY LAHEY. BRIDGET FANNING Born about 1818 Tipperary Died 28 Sep 1865. Father: RICHARD FANNING of Grange Mother: Margaret Ryan of Ballinoglora. 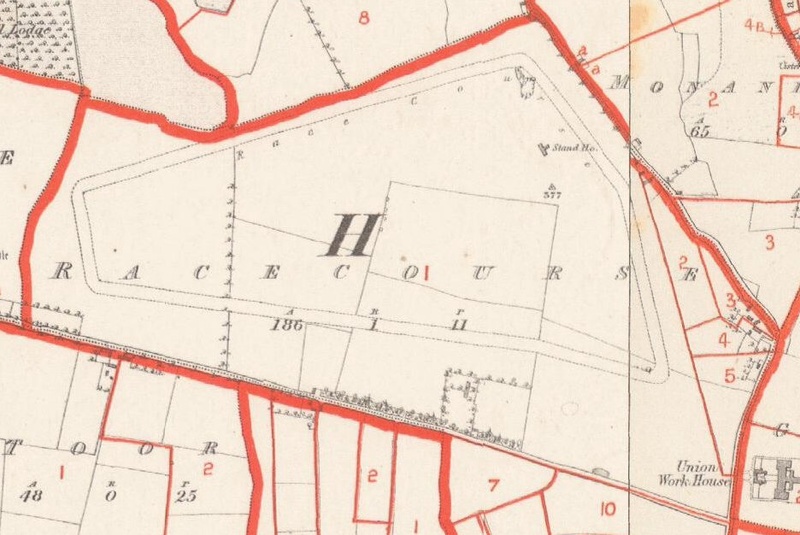 Grandfather: EDWARD FANNING of Glanreagh, Parish of Holycross. Grandmother : BRIDGET MAHER of Killough. Married PATRICK MCGRATH born about 1798 Tipperary died 13 Dec 1862. THOMAS FANNIN Born about 1784 Thurles Died 10 Mar 1820. Wife: HONORA RYAN Married about 1812 Thurles. RICHARD FANNIN Born about 1721 Thurles Died 20 Dec 1799 Wife: CATHERINE SHANAHAN married about 1746 Thurles. MARGARET FANNING born 5 April 1868 Littleton Father: JOHN FANNING Mother: ANNE FOGARTY. WILLIAM FANNING born 11 April 1867 Littleton Father: MICHAEL FANNING mother: ANNE CASEY. CATHERINE FANNING born 8 Jan 1865 Cashel Father: MICHAEL FANNING mother: ANNE CASEY. THOMAS FANNON born 28 Feb 1864 Littleton Father: MARTIN FANNING mother: MARY MAHER. THOMAS FANNING born 10 May 1870 Templemore Father: THOMAS FANNING Mother: ELLEN RYAN. Address Kill. Sponsor Anastatia Fanning. The above Latter Day Saints records are user contributed and no sources are generally given, so their accuracy needs to be checked. Date of marriage: 5 Feb 1839 in Drom Parish, PATRICK FANNING married ELIZA MILLER witnessed by Michael Doolan and Mary Glascock. Patrick and Eliza emigrated to Victoria Australia and settled in Geelong. Patrick died in 1883. They are both buried in Geelong East Cemetery. Date of marriage: 5 Feb 1846 in Moycarkey Parish, MARTIN FANNING married MARY MAHER, her address given as Borris, no fathers’ names, witnessed by Hugh Fanning and Mary Maher. Date of marriage: 21 Feb 1841 in Drom Parish, JOSEPH FANNING married MARY LONG witnessed by James Bourke and Bridget Ryan, no other details. Date of marriage: 14 Feb 1833 in the parish of Templemore, MICHAEL FANNING married CATHERINE KEYES of Dromard. Her name was entered as Cath. Witnessed by James MacGrath and Thomas Ryan. No other details given. Date of marriage: 12 Feb 1877, in Moyne Parish, PATRICK DEVANEY married ELLEN FANNING. Patrick’s father listed as James Devaney a farmer. Patrick’s address given as Borrisnoe and he is also a farmer. Ellen’s address is Gortnahow, her father was Thomas Fanning, a farmer. Witnesses were John Devaney and Johanna Fanning. Both Patrick and Ellen were previously unmarried. They were married in the RC Church of Loughmore. Patrick’s name listed as Patt. One of their father’s is deceased, can’t tell which one. Date of marriage: Jan 30 1827 in Drom Parish. JOHN FANNING married MARGARET RUSSELL. Witnessed by William Purcell and William Russell. Date of marriage : 10/2/1879 Parish of Templemore JAMES HOARE address Ballinlonty, farmer, aged 30. His father Daniel Hoare, a farmer. Married ANASTATIA FANNING of Drom, a farmer, aged 24. Her father was Joseph Fanning, a farmer. Witnesses were Philip Egan and Johanna Fanning. Priest was Rev M Meagher PP and they were married in Drom Catholic Church. Date of marriage: 11 Sept 1899 Parish/District Holycross. JOHN FANNING address: Glenreigh Beg occupation: farmer husband’s father: James Fanning farmer, deceased. Married CATHERINE DOYLE address: Glenreigh More, her father Lawrence Doyle, farmer, deceased. John O’Brien was the priest and Laurence Ryan and Mary Ryan were witnesses. They were married in Holycross Church. Her name was entered as Caitherine. MICHAEL BROLAN aged 20 married ELLEN WOODS aged 25, on 28 Feb 1865 in Thurles Parish. Both lived in Stradavoher and were labourers. Husband’s father was DANIEL BROLAN, pensioner, deceased and her father was JOHN WOODS, a labourer. Witnesses were James Hayes and Mary stokes. John Ryan was the priest. MICHAEL FANNING of Lincoln Place Dublin, merchant, married MARGARET RYAN aged 25, of Main St Thurles, also a merchant, on 10 June 1901 in Thurles Parish. Husband’s father was WILLIAM FANNING, farmer, and her father was PATRICK RYAN, merchant. Witnesses were Patrick Fanning and Mary Ryan. J.J.Duan was the priest. Date of marriage 9 Feb 1880 Parish/district of Moyne MARY FANNING of Clondoty father William Fanning, farmer married JOHN BANNON of Ballycahill, farmer, father Patrick Bannon, farmer. Witnessed by John Maher and Mary Butler. Married in Loughmore Church. Both fathers still alive. Date of marriage 16 Feb 1871 JAMES DEVANE of Nodstown, farmer, bachelor, his father: John Devane. Married MARY BANON at Ballycahill Church. her father was Edmond Banon, farmer. Witnessed by Michael Scully and Bridgie Banon. Date of marriage 20 Feb 1873 in Ballycahill Church Parish of Holycross, JAMES FANNING of Kill, a farmer, bachelor, full age, married ALICE LONG of Barracurra. His father was John Fanning, her father William Long, both farmers. Witnessed by Martin Eviston and Mary Long. Date of marriage 15 Sept 1892 in Holycross Parish/District JOHN RYAN of Crossogue, a farmer and bachelor, married MARY FANNING of Glenreigh, spinster. His father was James Ryan, farmer, her father was James Fanning, farmer. Married in Holycross Church, both full age and both fathers deceased. Witnessed by Patrick Gorman and Bridget Dwyer. 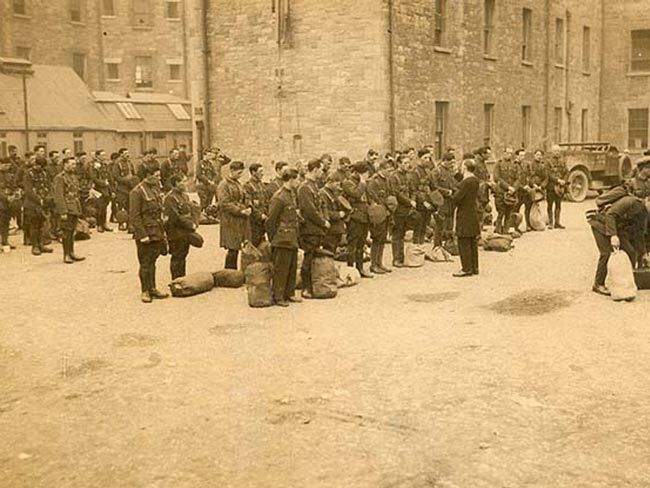 Date of Marriage: 09/05/1888 JOHN MULLANY address: Thurles Occupation: Ex.Sergt., R.I.C. Age 47 Bachelor. Father’s name:Patrick Mullany, Occupation: Farmer and BRIDGET FANNING Address: Thurles Age 30 Spinster Father’s name Michael Fanning Occupation: Farmer. Witnesses: Michael Mullany and Kate Fanning. MICHAEL DWYER merchant, address: Bouladuff, Father:Michael Dwyer,farmer and CATHERINE FANNING, Address: Lisaroon, father: Michael Fanning, farmer. Witnesses: Nicholas Callanan and Sarah Fanning. Date of marriage: 10/02/1891.Parish of Thurles. JAMES FANNING, farmer, address: Lisdanowly, Moyne. Father: Patrick Fanning, farmer, deceased, and ANNE HOGAN address: Coolkip, farmer’s daughter. Father: Patrick Hogan, farmer.Date of marriage 25/02/1897 in the Parish of Littleton. Witnesses :MICHAEL FANNING and Margaret Hogan. THOMAS FANNING, cattledealer of Ballyduff. Father: William Fanning, farmer, deceased, married ANASTASIA KIRWIN of New Road. Her father was Thomas Kirwan, farmer. Married in Thurles Parish on 21 Jan 1875. Witnessed by William O’Connell and Joanna Gleeson. Bride’s name was entered as Anto and in transcription has been changed to Anastasia. Johny Butler DD was the priest. PATRICK FANNING ( no address recorded) and SARAH DOYLE (Sally) of Ballymoheen, married in the Parish of Dunkerrin on 4/03/1851. Witnesses : William Fanning and Cath Doyle. PATRICK HOGAN of Coolkip, farmer. Father: Thomas a farmer, deceased and MARY SHEEHAN of Quarry St. Wife’s father is John Sheehan, shopkeeper. Witnesses are Patrick Hogan and Johanna Sheehan. married 01/07/1875 in the Parish of Thurles. EDWARD FANNING of Shanbally, farmer married JOHANNA HOGAN of Coolkip on 7/4/1902 , in the Parish of Thurles. His father is William Fanning, farmer and her father is Patrick Hogan, farmer. Witnesses are Joseph Fanning and Winnie(Minnie?) Hogan. JAMES DWYER of Main St, shopkeeper and ELLEN SHEEHAN of Quarry St married on 23/01/1883. Husband’s father: William Dwyer, farmer, deceased. Wife’s father: John Sheehan, shopkeeper. Witnesses by Michael Dwyer and Sarah Sheehan in the Parish of Thurles. EDMUND FANNING, farmer,address: Holycross married HANORIA MOLLOY, farmer’s daughter, address :Ballybeg, on 11/02/1902 in the Parish of Littleton. Husband’s father was James Fanning, farmer and wife’s father was John Molloy, farmer. Witnessed by Francis Dwyer and Bridget Fanning. Notes: Edmond. Married at the Roman Catholic Chapel of Moycarkey. JOHN FANNING, farmer,address: Loughmore, married MARY HOGAN address: Moycarkey, farmer’s daughter on 17/02/1908 in the Parish of Littleton. Husband’s father was William Fanning, farmer and wife’s father was Patrick Hogan, farmer. Witnessed by Patrick Bannon and Sara M Hogan. THOMAS FANNING of Turtulla, labourer, and MARGARET POLLARD of Stradavoher, servant, in Thurles Parish. Date of marriage: 13/02/1899. Husband’s father: Thomas Fanning. Wife’s father: Joseph Pollard. Witnessess: Joseph Pollard and Mary Carroll. SARAH FANNING of Lisaroon and PATRICK KEARNEY, an electrician, of Southhampton, England in Thurles Parish on 15/05/1894. Husband’s father was John Kearney and wife’s father was Michael Fanning. Witnesses were Francis Dwan and Statia Fanning. Married in the RC Chapel of Inch. ANASTATIA FANNING of Templemore to THOMAS MORKAN, instructor, in Templemore Parish on 26/11/1877. Husband’s father was Thomas Morkan, an Army Man and wife’s father, Thomas Fanning was a farmer. Witnesses were Michael Carey and Catherine McCombe. THOMAS FANNING of Kill, a farmer, married ELLEN RYAN of Clonlismullen in Templemore Parish on 25/02/1868. Husband’s father was Thomas, a farmer and wife’s father was John Ryan, also a farmer. Witnesses were James Fanning and Mary Quinlan. They were married in Drom church. NANO FANNING of Lisdinowly, farmer’s daughter. Father: Patrick Fanning married PATRICK RYAN of Thurles, a shopkeeper. His father was Thomas Ryan. They were married on 21 May 1871. Witnesses were Patrick Ryan and Bridget Cormack. They were married in Moyne RC Church. On transcription her name was changed to Nancy but I think it was Hanora. ANNE FANNING of Jail St (Thurles? ), spinster, daughter of Edward Fanning, a shopkeeper (deceased), married CORNELIUS RYAN of Barrack St. He was a shopkeeper and his father was Laurence Ryan (deceased), a farmer. Witnesses were James Cahill and Kate Charles. They were married in Thurles Parish on 8 Sept 1868. The following Marriages were located within the records of the Archdiocese of Cashel and as a result of research conducted by Tipperary Family History Research. JAMES FANNING and ALICE LONG were married in Holycross Parish 20/2/1873 witnessed by Martin Eviston and Mary Long. The priest was Rev J O’Brien. On 16-2-1808, in the THURLES Parish Register reference: TH831542 The Marriage of EDMUND FANNING and JUDITH DARMODY. His address given as Inch her address as The Race Course. Witnessed by: Pat Darmody, Judith Macgrath and William Fannin. The priest was Rev. John Hickey. On the 18/2/1833, in the Thurles Parish Register reference: TH831553 The Marriage of JOHN FANNING and MARGARET FITZPATRICK Witnessed by JOHN DAVERN and MARY DAVERN. On the 22/2/1852, in the Moycarkey Parish Register reference: M548/669 The Marriage of EDMUND FANNING and MARY O’DWYER Witnessed by JOHN FANNING and MARGARET RYAN. On the 9/1/1846, in the Thurles Parish Register reference: TH 571053 The Marriage of PATRICK DARMODY and CATHERINE FANNING Witnessed by MICHAEL MAHER and MARGARET KENNEDY. On 28 Nov 1895 in Dublin at St Marys the Marriage of PATRICK FANNING of Thurles and ANASTASIA CARRIGAN of Ballymurreen Thurles. His parents were Patrick and Mary Fanning and her parents were James and Joanna Carrigan. Witnessed by Hugh Ryan and Mary A Carrigan. On 6 Oct 1903 JAMES JOSEPH FANNING of Cumberland St Birr, his parents were MARTIN FANNING & MARY SLATTERY, married ANNIE JOSEPHINE POWALL of John’s Mall Birr, her parents were JOHN POWALL & MARGARET O’CONNOR. They were married in St Marys Cathedral Dublin. Witnessed by Francis Norton and Mary Kate Powell. On 24 Oct 1909 in Manhattan, New York, New York, America MICHAEL BROLAN married KATIE FANNING. His parents were Patrick Brolan. Her parents were James Fanning and Alice Long. Anastasia HOARE was baptized on 5 Jun 1881 in Drom (R.C.). Her father was James. Her mother was Ana Fanning. Her sponsors were: Joseph Fanning & Margaret Ryan. Bridget HOARE was baptized on 25 Aug 1885 in Drom (R.C. ).Her father was James. Her mother was Statia Hoare. Her sponsors were: Michael Moroney & Joanna Quigley. Daniel HOARE was baptized on 5 Nov 1893 in Drom (R.C.). His father was James. His mother was Statia Fanning. His sponsors were: John Burke & Bridget Quigley. Ellen HOARE was baptized on 20 Sep 1891 in Drom (R.C.). Her father was James. Her mother was Statia Fanning. Her sponsors were: James Harrington & Ellen Maher. Frances HOARE was baptized on 21 Jul 1887 in Drom (R.C.). Her father was James. Her mother was Ana Fanning. Her sponsors were: James Coffey & Ana Fanning. Johanna HOARE was baptized on 26 Dec 1882 in Drom (R.C.). Her father was James. Her mother was Statia Fanning. Her sponsors were: Daniel Ryan & Maria Fanning. Joseph HOARE was baptized on 18 Dec 1895 in Drom (R.C.). His father was James. His mother was Statia Fanning. His sponsors were: Daniel Moroney & Ellen Moroney. Margaret HOARE was baptized on 5 Jan 1890 in Drom (R.C.). Her father was James. Her mother was Ana Fanning. Her sponsors were: John Maher & Mary Burke. Maryanne Catherine HOARE was baptized on 11 Jan 1880 in Drom (R.C.). Her father was James. Her mother was Ana Fanning. Her sponsors were: Patrick Fanning & Johanna Fanning. Patrick Edmund HOARE was baptized on 15 Mar 1884 in Drom (R.C.). His father was James. His mother was Statia Fanning. His sponsors were: Edmund Hoare & Margaret Burke. Daniel HOGAN was baptized on 7 Oct 1852 in Parish of Dunkerrin/Barna. His father was Daniel. His mother was Bridget Cummins. His sponsors were: Silvester Meagher & Mary Fanning. He resided in Castleroan. Mary DUGGAN was baptized on 16 Jul 1813 in Cashel Parish – CASH/155 (R.C.). Her father was Richard. Her mother was Margaret Fannin. Her sponsors were: John Flaherty & Ann Comerford. Mary CONNOLLY was baptized on 10 Feb 1828 in Parish of Drom/Inch.Her father was James. Her mother was Grace Spain. Her sponsors were: Patrick Kavanagh & Judy Darmody. 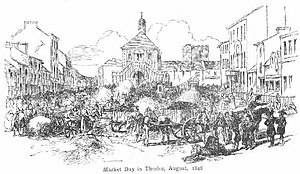 John MORONEY was baptized on 25 Nov 1810 in Parish of Cahir. His father was Edmund. His mother was Judith Duggan. He resided in Barnorha. His sponsors were: John Fannin & Brigid Dwyer. John MULLALLY was baptized on 6 May 1845 in Parish of Dunkerrin/Barna. His father was William. His mother was Honor Coonan. His sponsor was: Margaret Fannin. He resided in Castletown. Martin MULLALLY was baptized on 10 Nov 1842 in Parish of Dunkerrin/Barna. His father was William. His mother was Honor Coonan. His sponsors were: Martin Fannon & Catherine Mullally. He resided in Castletown. John RYAN was christened on 14 Oct 1835 in Parish of Drom. His father was Edmond. His mother was Hannah Shelly. His sponsors were: James Fanning & Biddy Burke. 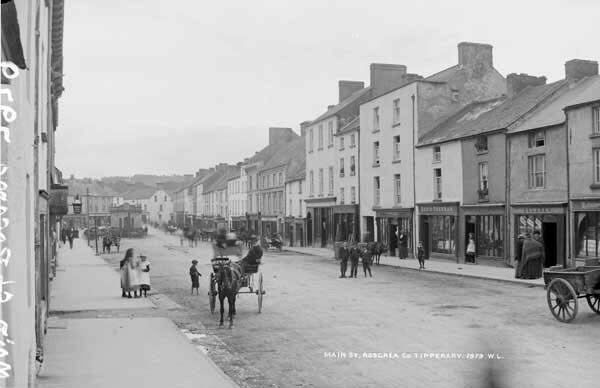 9/15/1869 Archibald, Benjamin Cooke and Catherine Ryan, of Pike St. Thurles. Sponsors: Patrick Darbody (Darmody?) and Catherine Quirke. Thurles Parish. 8/1/1830 Patrick Fanning, John Fanning and Catherine Shelly, Parish of Moycarkey. Sponsors: Michael Lowry and Sarah Fanning. 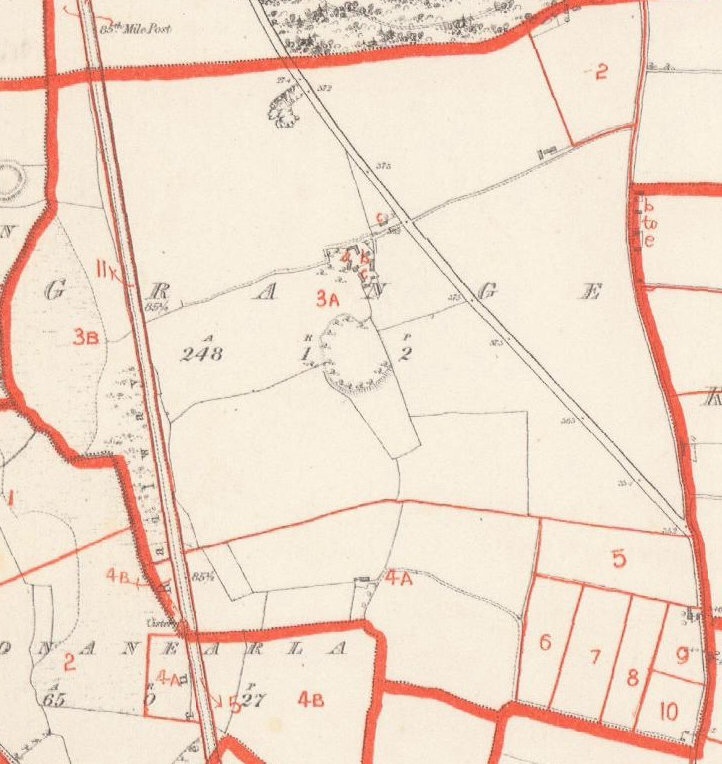 18/06/1838 Holycross Parish, Catherine Fell, William Fell and Nancy Coablack, Place of Residence: Moycarkey. Sponsors: Thomas Fanning and Honora Fanning. 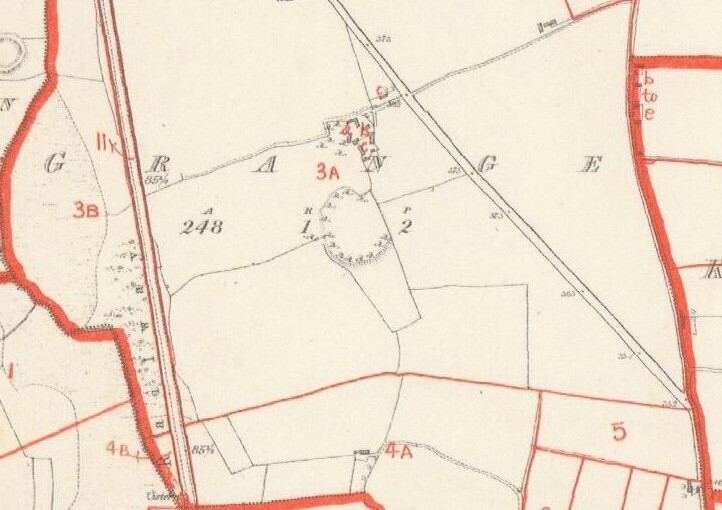 19/7/1870 Moycarkey Parish, Patrick Fell, Thady Fell and Ellen Mulcahy. Place of residence: Graigue, Moycarkey. Sponsors: Philip Fanning and Catherine Fogarty. 25/03/1819 Bridgid Brislane, Michael Brislane and Joan Kennedy of Kilnaseir, Parish of Loughmore. Sponsors: Philip Dermody and Mary Brenan. 13/06/1839 Richard Long, Thomas Long and Catherine Fanan. Sponsors: Cornelius Long and Bridget Fanan. 10/05/1843 Patrick? Long, Thomas Long and Catherine Fanning of Grange. Sponsors: William Tuohy and Honora Fanning. 5/10/1847 Margaret Long, Thomas Long and Catherine Fanning. Sponsors: Patrick Long and Anny? Fanning Grange. Catherine’s mother was probably Margaret Fanning of Grange (deduced from Griffith’s Valuation records for Grange). I have read somewhere, will find the reference, that three Twohy brothers married three Fanning sisters who were Catherine Long Fanning’s sisters. Anne DARMODY from Lisanure. She was married to John Loughman on 20 Feb 1817 in Templemore RC Parish. Wm. Moore & Joh Darmody were witnesses. Bridget DARMODY was the daughter of Pat. She resided Clonmore. She was married to Christopher Fogarty on 12 Feb 1866 in Templemore (R.C.). Their Marriage was witnessed by John Fogarty & Ann Darmody. Sarah FANNING from Templemore. She was married to Thomas Lucas on 14 Feb 1879 in Templemore RC Parish. Michael Quinlan & Anne Martin were witnesses. 30/09/1866 New Inn, Philip Ahern and Margaret Kenna. Groom and bride’s residence Garranlea. Witnesses : Richard Fanning and Josie Begly. 04/09/1872 Thomas O’Mahony and Mary Heffernan. Groom’s residence at Lagganstown and bride’s at Glenagat. At New Inn. Witnesses: John Ryan and Bridget Fanning. 10/02/1879 James Hoare and Anastatia Fanning in Drom parish. Witnesses: Philip Egan and John Fanning. 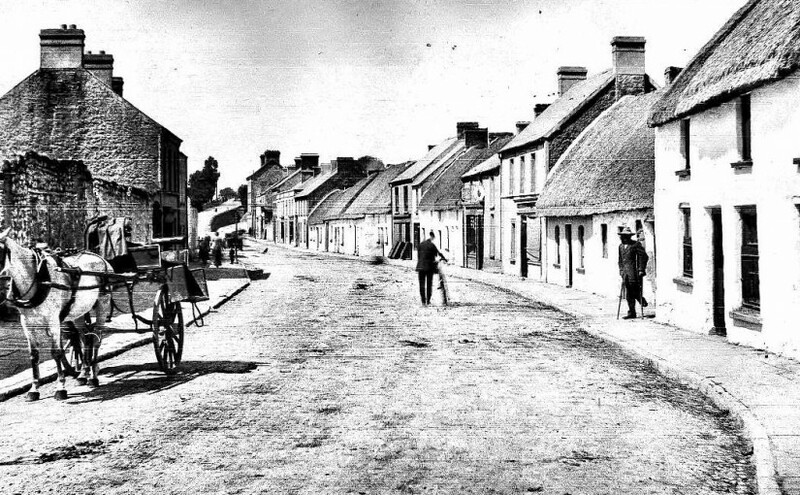 2/24/1879 Andrew Darmody and Ellen Ryan in Kilcommon Parish. Witnesses: Michael Darmody and Alice Ryan. Fanning, Mary of Knockahorna married Ryan, Philip on Feb 26 1878 witnesses Thomas Ryan and Catherine Fanning. Quinlan, Daniel born to Michael Quinlan and Mary Darmody and baptized on July 7 1816 – Bridget Quinlan and ? Young, Mary of Killamoyne born to John Young and Mary (Margaret?) 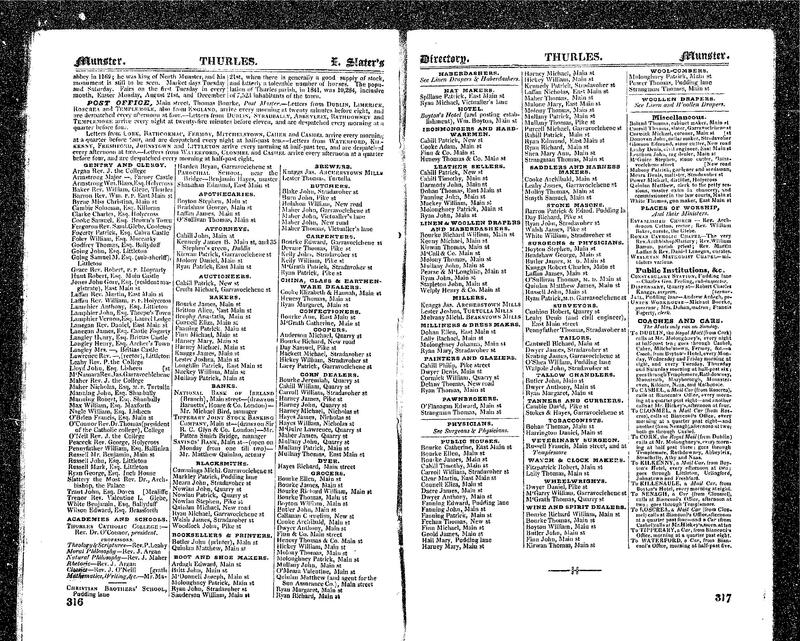 Darmody and baptized and baptized on Dec 23 1832 – Godparents Biddy Young and ? Young, Thomas of Killamoyne born to John Young and Margaret Darmody and baptized and baptized on Dec 27 1839 – Godparents Judy Ryan and ? Young, William of Killamoyne born to John Young and Margaret Darmody and baptized and baptized on Jun 30 1843 – Godparents Mary Young and ? Anne Fanning married Cornelius Ryan in Thurles on 8 Sep 1868. Her father was Edward Fanning. Sarah Fanning married Edmond Byrne in Templemore on 27 Feb 1865. her father was James Fanning.